Three of our previous winners share their experience of entering the Charity Awards and the impact winning has had on their charity. The Trussell Trust started out as one foodbank in a garden shed in Salisbury in 2000. Now it comprises over 400 foodbanks and was overall winner at the Charity Awards 2016. The problem of hidden hunger in the UK was first brought to the attention of Trussell Trust founders Paddy and Carol Henderson during a fundraising drive for a project to feed street children in Bulgaria. They were contacted by a local mum who told them her children were going to bed hungry and asked what they would do about that. Shocked that anyone in Salisbury should be going hungry, they set up the first Trussell Trust foodbank from their garden shed. From the outset they knew they needed a solid plan to maximise local involvement. So they decreed that all food must be donated; the foodbank must be staffed by volunteers; local frontline professionals should refer those in genuine need by issuing a food voucher; nutritionists should advise on the content of food parcels; and relationships must be built with local agencies to help clients resolve their problems. It was a plan that attracted the attention of other communities which wanted to replicate the project in their areas. The founders carefully researched the best way of sharing their experiences and settled on a social franchise model to encourage the full engagement of local communities. In 2004, the first Foodbank Network foodbank opened in Gloucester. Now the Network boasts over 400 foodbanks and collects the best national data on food poverty currently available in the UK, which the Trust uses as evidence to try to persuade government to change its welfare policies. Sam Lane, the Trust’s head of marketing, fundraising and comms, said: “To win the overall award at the Charity Awards is an absolute honour. It was terrific to be able to share the news with our network of foodbanks, which provide the support on the ground to people in need – so it’s very much their award. 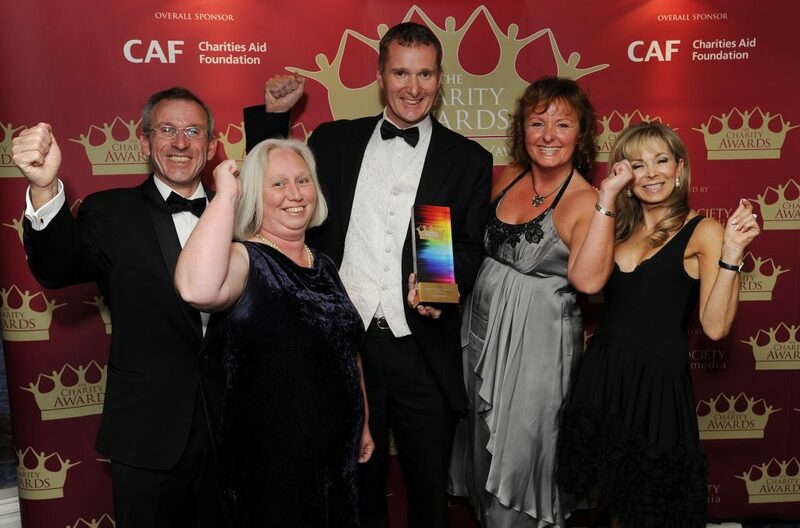 astounded to win the overall award at the Charity Awards, says its CEO Georgette Mulheir. Lumos is a young and growing charity, only a decade old in 2015. We help to change the lives of thousands of children by showing governments how damaging institutional care is, and resettling children within families and communities. We believe we are a well-run charity. In the exacting Hallmarks of Excellence sections of the application, we had to prove it. Winning, therefore, was a tribute to the professionalism of all our staff. The award enhances our profile in the UK, and we have already heard from international partners how impressed they are that we have won such a prestigious award. 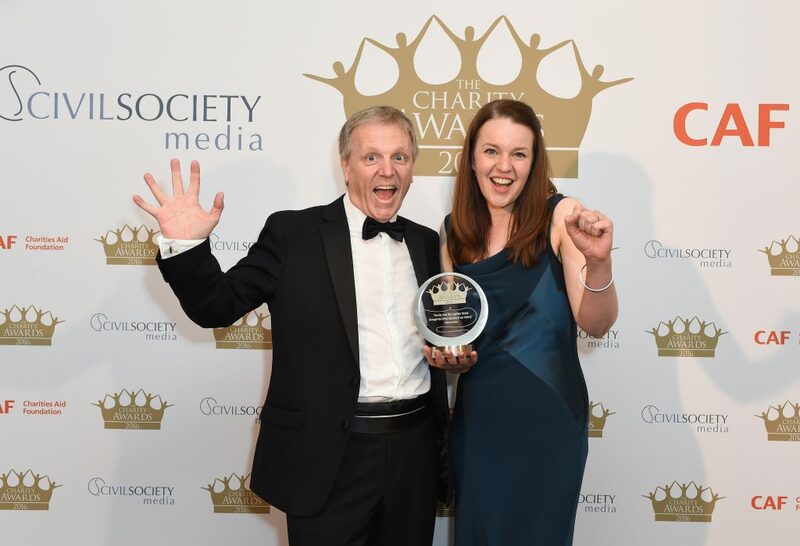 When Julia’s House hospice won the Healthcare and Medical Research category at the Charity Awards 2012, it kicked off a chain of events that CEO Martin Edwards could never have imagined. I was presented with the award by the cookery writer Annabel Karmel. In the moments afterward, offstage, Annabel and I had a little chat. I steered the conversation onto Julia’s House and invited her to visit our hospice in Dorset. She did, and there I asked her to become a patron of the charity. A few weeks later, Annabel found herself in a room with Samantha Cameron, and told her about Julia’s House. Samantha offered to stage a reception at 10 Downing Street for our charity. This took place in 2013. Several influential potential supporters attended, including the film director Guy Ritchie, who lives on the Dorset/Wiltshire border. At the event he spoke with many of the children and families we help, and later offered to help build a hospice in Wiltshire. So in 2014 Guy hosted a fundraising event at his home, which raised nearly £1m. Among the guests were Iron Man actor Robert Downey Jr. Guy persuaded Robert to back the appeal and by early 2015 Robert, via a worldwide raffle of the chance to join him at the Avengers film premiere in LA, had raised a further $2m. Soon we had raised enough not only to build a Wiltshire hospice, which will open in 2017, but also to nurse children in their own homes in the county, which has already started. Could anyone have predicted this chain of events? No. 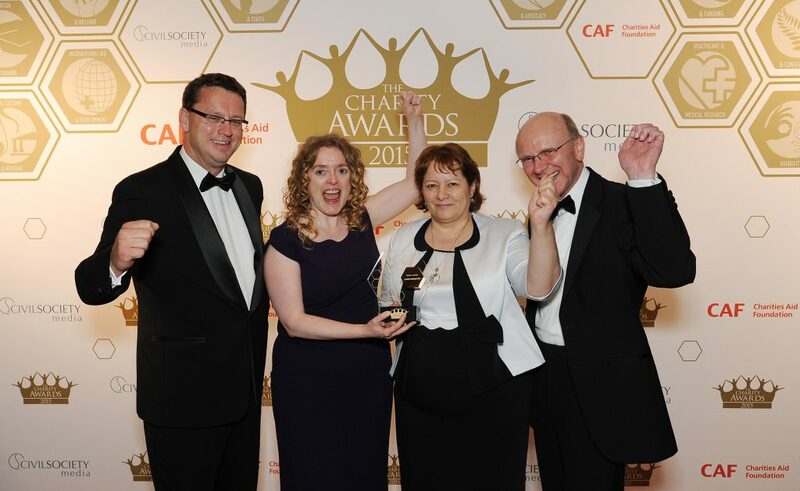 But the Charity Awards are so prestigious that winning makes good things happen. And at each stage in the chain, the credibility of winning the award meant that these people felt they could trust Julia’s House.